4 Is Qatar a good airline? 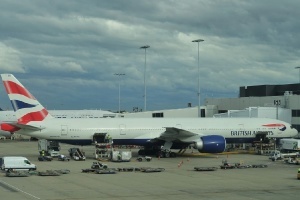 There’s a dedicated Business Class check in in Sydney and London. Check in in Sydney is very fast, but there is a bit of a queue in London. The London to Doha Qatar Airways passengers using Business and First Class are obviously a bit different to the Sydney crowd. So much so that the Qatar Business Class check in dedicated porters at the check in to assist with loading the luggage onto the conveyor belts. Some passengers are traveling with enormous amounts of luggage so my little carry on is allowed into the cabin without question. In both Sydney and London I am provided with an express pass, and even at Heathrow I’m through immigration and security screening in no time. There is no Qatar Business Class lounge Sydney, so Qatar uses the always underwhelming Qantas Business Class Lounge. 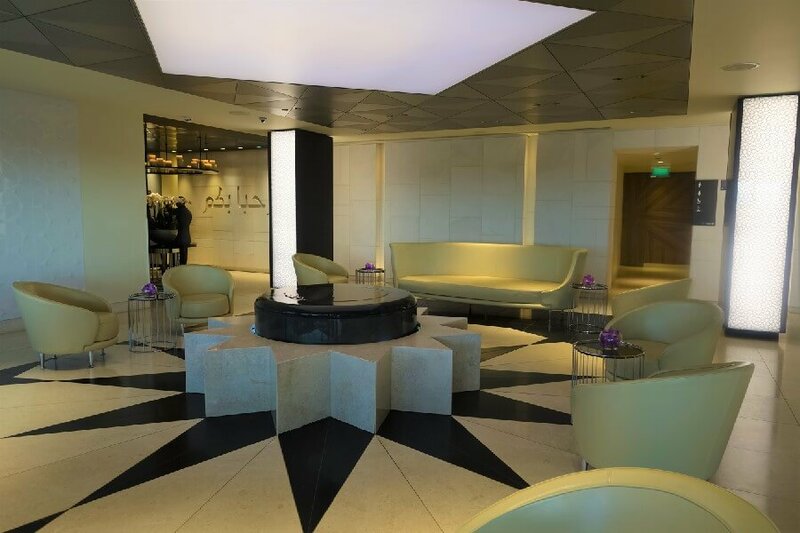 As a member of One World, if you are booked on Qatar and hold a higher One World status you can use the Qantas First Class Lounge. Fortunately, as it is an evening flight, the lounge is quite quiet. But all that does is make the lounge look even more tired, and the furniture look even more like it comes from Ikea. 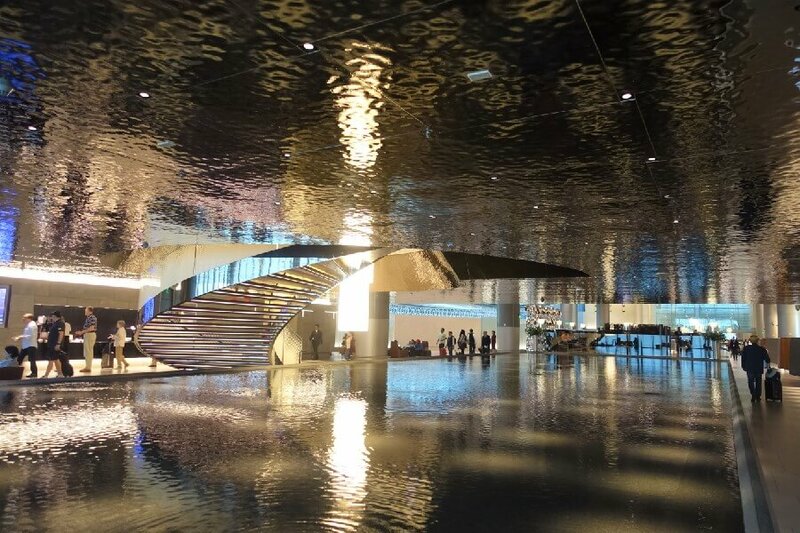 The Qatar Airways Lounge in Doha is a whole other experience. New, spacious, and with multiple separate seating areas, it’s actually a bit hard to decide where to sit. And with its dedicated dining room, even where to eat. There are multiple drinks stations with non alcoholic beverages, plenty of chilled water and tea & coffee, so rehydrating after the flight is easy. Lighting in the general lounge area is somewhat subdued, but is brighter in the business and casual dining areas. Because of the amount of food I managed to consume on the plane I didn’t try the food in the Doha lounge, but I must say, what was there did look good. If you have a lengthy stopover, you could also consider a Doha city tour. The Qatar Airways Lounge in London was my kind of lounge. Not too big, not too small. Just right in fact. A combined First and Business Lounge with multiple seating and dining areas. As I was booked on a breakfast flight I stuck to a coffee and pastry which was brought to my seat with courtesy and a smile. I found plenty of daily newspapers and an excellent range of magazines to while away the time. Wifi was, of course, free, and good quality. The bathroom amenities in the London lounge were nothing short of amazing. 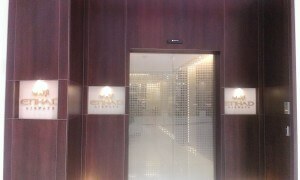 Apart from the loos, there were two dedicated female shower rooms, which would not have been out of place in a smart 4 or 5 star hotel. Apart from a full shower, there was a loo, vanity with hairdryer and plenty of towels and a bathrobe. It was so inviting I wished I hadn’t showered at my hotel, just so I could try it. Fancy bathrooms and inviting lounges are one thing, but really we fly Business or First Class to be cosseted and spoiled just a little bit don’t we? 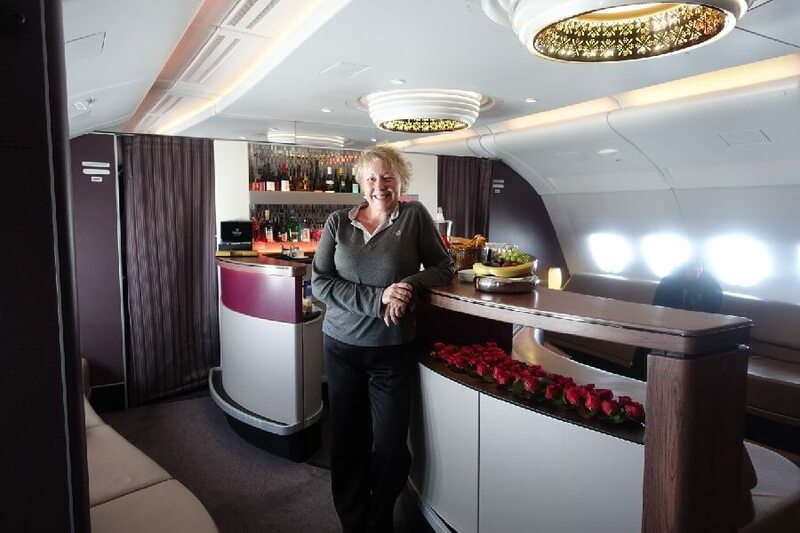 So does Qatar Airways Business Class deliver? Well, yes and no. On the a380 the Qatar Airways Business Class seats are an absolute winner. Located upstairs just behind First Class and in front of the bar, the cabin is arranged in a 1-2-1 configuration. Unlike the similarly arranged Air Canada Business Class, the Qatar seats are angled facing the windows, so you get the benefits of the view and just that little more privacy. The seat is fully adjustable and comes with a static foot stool underneath the TV screen so you have a nice long lie flat bed when it’s time to sleep. There is abundance of storage, including the ever so handy shoe drawer. With the 1-2-1 configuration there is no fight for space in the overhead lockers and the window seats have storage beside the seating that holds the bedding. For sleeping, beds are made up with little mattresses, making for a very comfortable experience. Now, the Qatar Airways Business Class service. On the four legs I travelled, I found that when it was good, it was very, very good, and when it wasn’t good, well, it just wasn’t. My first leg from Sydney to Doha on a night time flight was a joy. My flight attendant was smiling, professional and just charming. Nothing was too much trouble. There were a number of children sitting near me on the flight and she gave them service like they were the most important people on the plane. It was lovely to watch her smile her way through the flight. The second leg from Doha to Paris was a stark contrast. I was sitting in the fourth row of the cabin and before we took off our flight attendant basically ignored everyone behind the second row. After 25minutes of no one to take my coat, no offer of a drink, no menu and no amenities kit I was approached by a cabin supervisor who asked me how I was enjoying my flight so far. So I told her. I wasn’t. Well, after that, my flight attendant spent the rest of the flight on an ingratiating charm offensive. I’m not sure what annoyed me more. Fortunately the legs from London to Doha and Doha to Sydney were somewhat less notable – for the right reasons. As well as an amenities kit, we are offered the Qatar Airways pyjamas and a pair of slippers on the night time (read longer haul) legs. I must say I really did like my Qatar Business Class pajamas. A soft grey, they were comfy and smart, and came offered in a pretty pillow case like bag that was perfect to pop my day clothes in. Sizing was generous, and each time I was offered an alternate size if I did not find the size my flight attendant had selected for me to my liking. I found this a nice, generous touch. The amenities kit was a hard case Brics container with face mist, lip balm and moisturing cream in addition to the usual socks, ear plugs and eye shades. 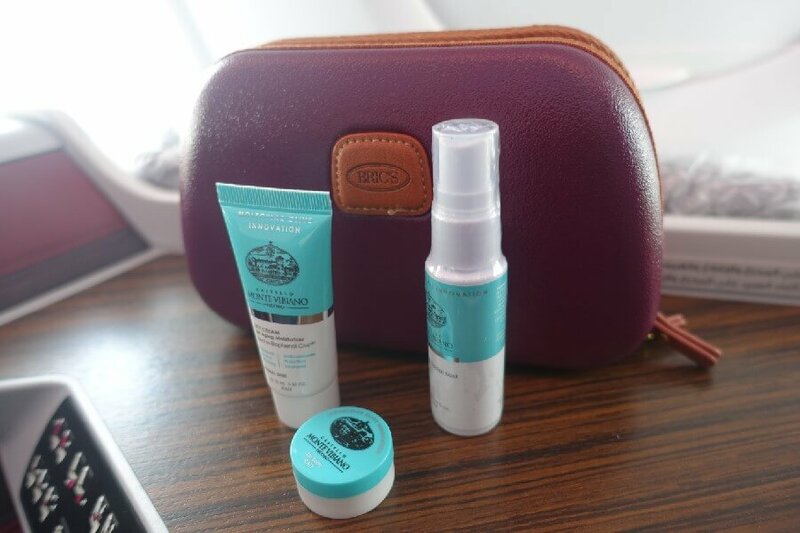 Sizes of the Qatar Airways Business Class toiletries were generous, but while the container was pretty, its solid structure meant it was not a keeper for me. Shaving kits and toothbrush and toothpaste (a good size tube) were plentiful in the toilets as well as the usual hand creams. 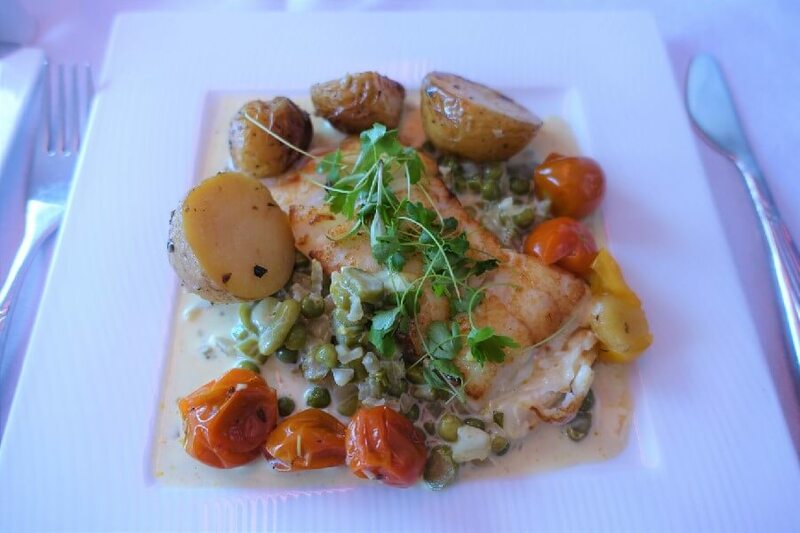 While airline food often gets a bad rap (sometimes with good reason), I must admit I do look forward to enjoying good food and wine when I’m flying Business Class. 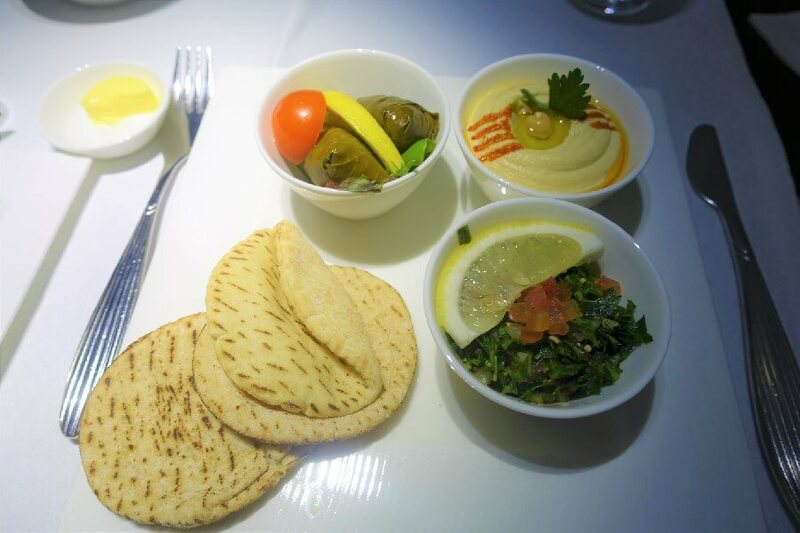 While the Qatar Airways Business Class menu was interesting, and the food was good, it was not perfect on every occasion and I did find the Qatar Airways menu a little the same from leg to leg. My mezze were excellent, as you would expect. 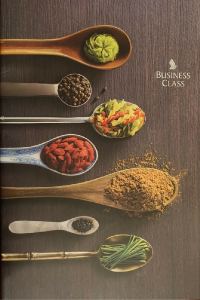 I did like the way they were served and the different choices compared to those offered on Emirates or Etihad Business Class. My chicken on the leg from Sydney to Doha tasted good, but unfortunately was quite dry and over cooked. I found my fish on the return leg far more successful. And I have to say, the chocolate ginger cheesecake dessert was definitely restaurant worthy. 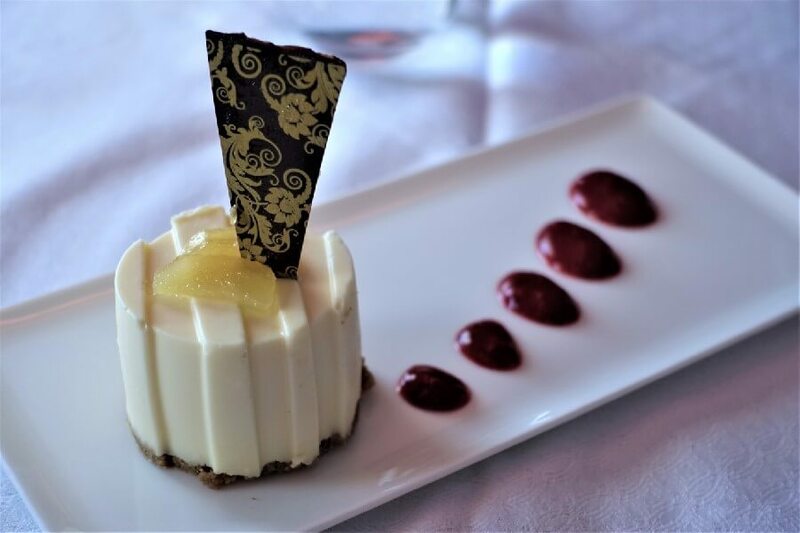 White chocolate ginger cheese cake – definitely yum! The wine lists did differ more than the food menu and featured a good range of New and Old World choices. 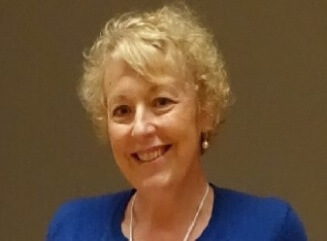 I loved that there was a choice of champagne – rose and brut offered at all times. The brut was Billecart Salmon, so it was hard to complain. I also particularly enjoyed an excellent Sauternes served with my cheesecake. The food service was restaurant style with premium Frette linens. And yes, I did feel just a bit spoilt at meal time. The entertainment system featured a good range of new release and classic films as well as plenty of TV shows. 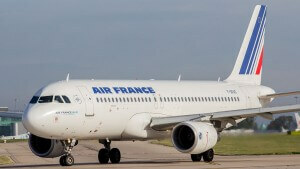 I particularly enjoyed watching a series of TED talks – a choice I’d not seen on any other airline before. Is Qatar a good airline? Yes, Qatar Airlines Business Class is very good. But in this Qatar Business Class review I have to say it is not uniformly excellent. Dry chicken and annoying service on one leg did let me down a little. But when the service was good, it was excellent and I did find the Qatar Airlines Business Class seat an absolute winner. 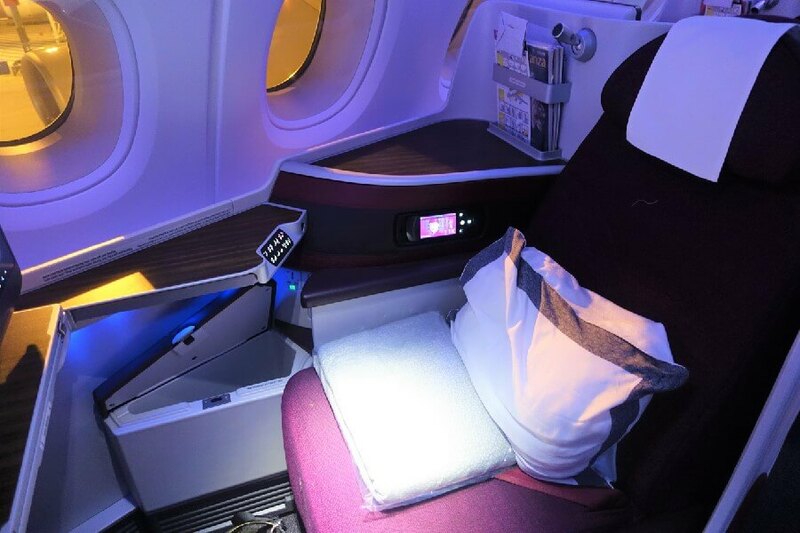 For One World members, Qatar Airlines seating is definitely better than the side by side seating in the Qantas a380 Business Class, and is a much quieter cabin than the Emirates A380 Business Class cabin. It is also a far better all round experience than the British Airways Business Class equivalent. Because Qatar often discounts tickets, this makes Qatar Airways a very competitive offering if you a One World member, or even just looking for a value Business Class product. Author’s note: my flight on Qatar Airways was paid for by my employer. Qatar Airways business class seems really fancy! 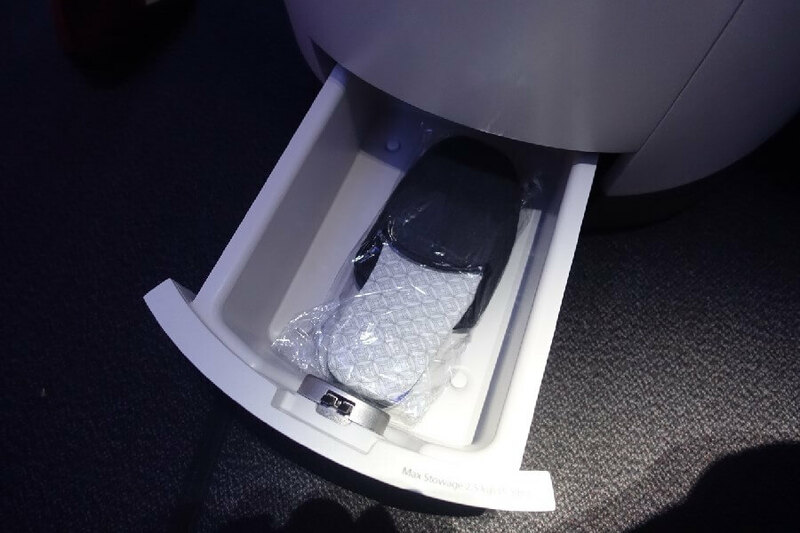 The images are brilliant and really captures the premium quality of the airline. Thanks very much, I’m glad you appreciated it. Oh, Brenton, that sounds truly terrible. I think you will find Qatar considerably better. Hope you have an enjoyable trip. Ah, this is the epitome of luxury! You mention that Qatar is not uniformly excellent. Well, probably if you spend that kind of money you expect a lot, but from where I’m coming what they offer is excellent. 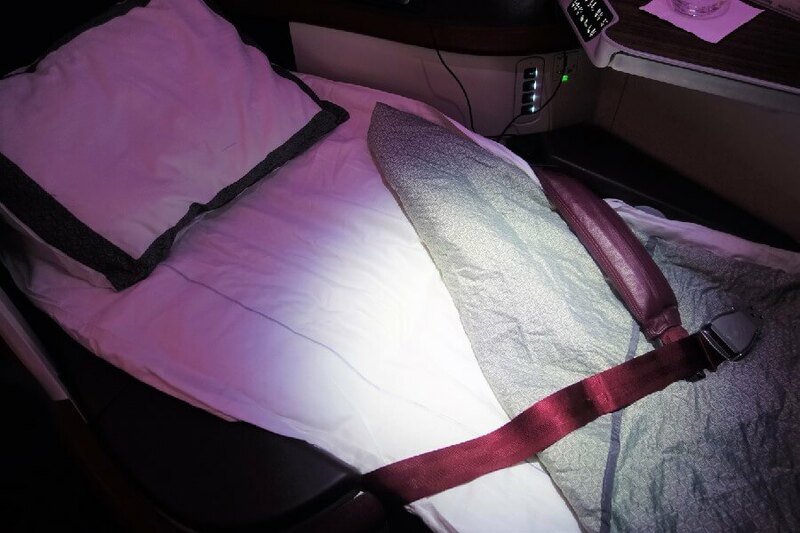 Can you keep the Business Class pyjamas after use ?